The Internet of Things! It’s incredible how IoT has opened up a plethora of opportunities for businesses, helping them achieve overall efficiency, improved productivity and substantial returns. According to estimations by the McKinsey Global Institute, IoT will have a total economic impact of up to $11 trillion by the year 2025! That explains why current day businesses have started to imbibe the technology into their systems to stay ahead of competition. Common dilemma among the IoT solution providers and engineering firms is to decide on whether to build the IoT platform in house or outsource it to an external vendor. Platform is the fulcrum holding multiple layers of the IoT infrastructure and it is as crucial as foundation laid for concrete buildings. Building an IoT platform from ground up can be daunting and time-consuming. There are mature platform players in the market who have spent years together refining and perfecting the platform and solution providers might lose time and money trying to replicate that in-house. Why should you go for a well-established platform and not burn fingers building it in house? Platforms have a pivotal role to play in the complete IoT framework. A research by IoT Analytics (year 2016) identified that by outsourcing the platform to an external vendor, implementation cycle gets reduced by upto 50%. There is no need of spending time and effort on building an IoT platform in house, when developers and solution providers can avail robust, multi-functional platforms available in market. The advantage of acquiring platform from a dedicated vendor is the expertise vendor brings. Instead of investing resource on building platform which is a complex effort by itself, solution providers can concentrate on their core competency and start building customer centric solutions quickly. IoT platform vendors have large, dedicated teams for R&D and spend a lot of time fixing bugs and iterating the quality of product, so that you don’t have to. You can stay focused on your core proposition and save a lot of engineering effort, time and money. Solution providers and app developers today are looking to leverage on the upper layers of the IoT stack and this means building applications within a short time with an enterprise ready platform. Hence choosing the right platform can help save a lot of money, reduce time to market, exercise scalability and prove to be profitable in the long run. 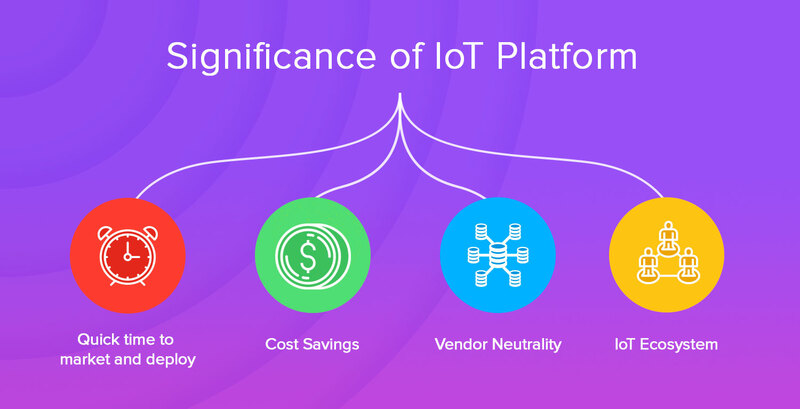 So, what are the crucial factors to be noted while choosing the right IoT Platform? A good IoT platform should be able to offer you with maximum functionalities as possible. According to a Boston Group Study (year 2017) an ideal IoT platform is convergence of application enablement, data aggregation, storage and connectivity management. It should be able to offer all of these besides solving the complexities that exist in IoT framework. The platform should enable communication between devices and protocols through seamless M2M correspondence and comprehensive data orchestration. Enterprise IoT does not scale without automation. The IoT Platform should help solution providers solve business challenges of their customers through automation. Besides, it should offer developers and the IoT community with high quality tools and APIs that are open, scalable and compatible with multiple protocols and devices. Edge processing is another important factor to be taken into consideration. 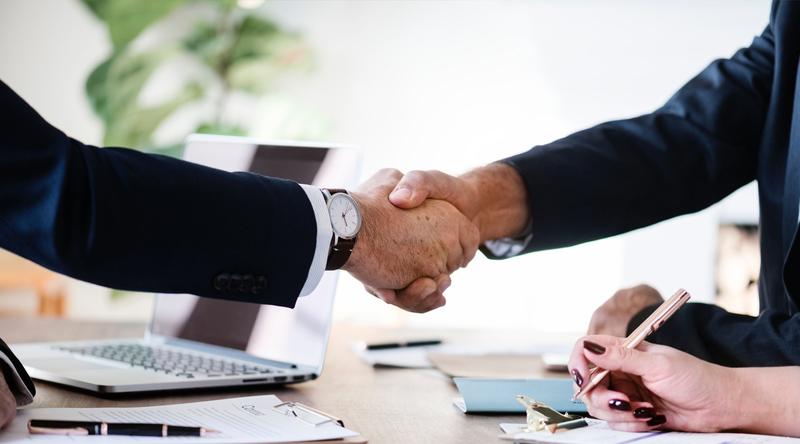 Right from securing data from devices and ability to interact with cloud, edge agents offer innumerable communication and data processing possibilities within the framework, in a secure manner. The edge agent should provide automated data collection, analytical computations closer to source and seamless cloud to platform communication. Enterprise operations usually span across sundry departments and functions. Choosing a platform that can cover majority of the operations gives an it edge for scaling future projects and developing product upgrades . It is also important to look for a player that offers strong hardware and software ecosystem, since successful IoT deployments lies in seamless integration of various layers of the technology stack. Business software integration is another major differentiating factor for choosing between 100s of platforms. To achieve ultimate operational and financial goals, IoT applications should be able to integrate with organization level business apps like ERP, CRM, helpdesk etc. Besides the technical benefits, its is important to look for credibility of the platform. According to a study, most IoT start-ups fail due to their lack of ability to scale and product pitfalls at later stage. It is important to evaluate credibility of the company and maturity of the platform in market. IoT platform vendors should be able to on-board solution partners with standard guides, documentation and training. Solution providers should look for a vendor that provides detailed training and on-boarding module along with round the clock support. Building an IoT platform from the scratch is no easy feat. Even reproducing those functionalities from existing platforms can consume a lot of time and resource and could still fail. To achieve quicker implementations and add new modules within short duration, solution providers should take advantage of an established IoT platform, integrate and start building great products for their customers.